It’s funny how the left calls President Trump a Nazi. But they don’t mind taking my money from a person who worked for the Nazi’s to saved his own skin by turning in other Jews. 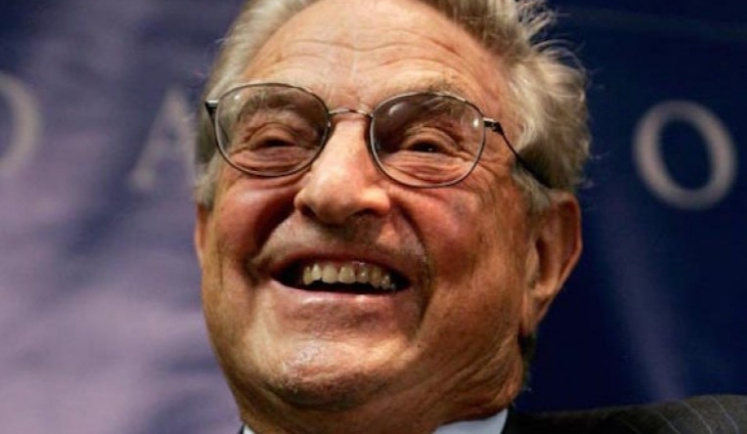 Yesterday’s liberal women’s events around the country were backed by more than 50 groups which in turn were supported by former Nazi and now current Democrat financier George Soros. Tamika D. Mallory, whose bio says she “has worked closely with the Obama Administration as an advocate for civil rights issues, equal rights for women, health care, gun violence, and police misconduct.” She also served on the transition committee of NYC Mayor Bill de Blasio. Carmen Perez, who served as the executive director of Belafonte’s Soros-financed The Gathering for Justice. Linda Sarsour, a self-described “Brooklyn-born Palestinian-American-Muslim racial justice and civil rights activist,” who serves as “the Executive Director of the Arab American Association of New York, co-founder of Muslims for Ferguson, and a member of Justice League NYC,” her march bio relates. The protests did not allow women supporting right to life to join them but they joined Linda Sarsour who has connections with CAIR and the terrorist group Hamas.